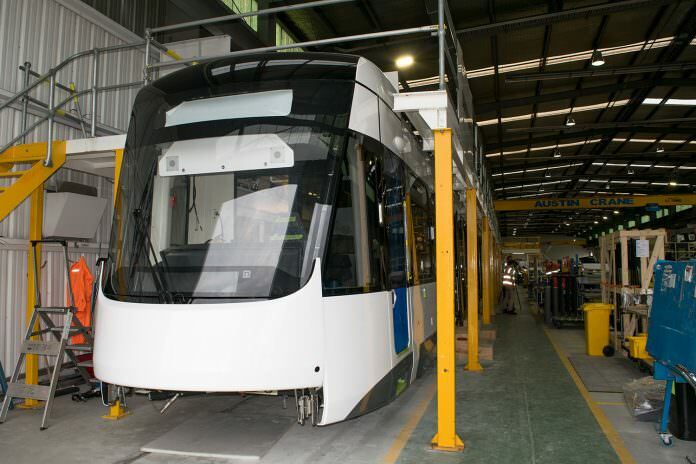 Construction of the first of 20 newly ordered E-Class trams for Melbourne has been completed at Bombardier’s Dandenong factory. It is the 51st E-Class tram to be produced at the factory and the first of 20 new vehicles ordered in 2015. Testing and commissioning will be completed at Yarra Trams’ Preston depot. All 70 low-floor trams will be in service on routes 96, 86 and 11 by the end of 2018.